64. What is a latke? A: The word is Yiddish (but used in all languages, including English and Hebrew) for a pancake. It comes from the Russian word olad’ya, which is the diminutive of the Ukranian oldka, a pancake or fritter. And that word was derived even earlier from the Greek for a “little oily thing” (eladion), the diminutive of elaion, olive oil, from elaia, olive in ancient Greek. So the object is named for the substance it’s fried in. 65. Why do Jews eat latkes on Chanukah? A: They are fried in oil. Any food fried in oil can be traditional for Chanukah. In that way, we commemorate the miracle of the one-day supply of oil that lasted eight days. Unfortunately, there’s no eight-day miracle for losing the weight gained from all the latkes, donuts, cheese, and chocolate. 66. 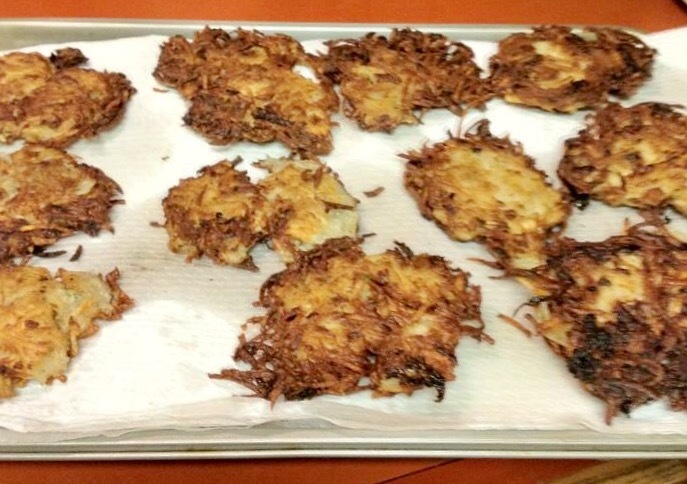 Can latkes be made from anything besides potatoes? 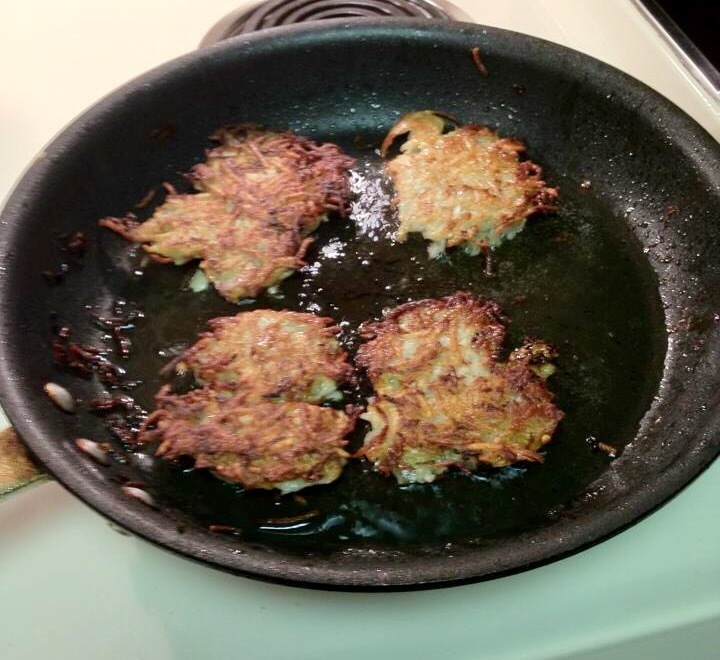 A: Because of copyright restrictions, I cannot copy and paste latke recipes from cookbooks. But you can check Chef Google for a recipe – there are 45,000 sites listed for “potato latke recipes” there. But here is my favorite one. I can post it because I don’t use a recipe. It has been published in the book Recipes by the Book: Oak Tree Authors Cook, which was compiled and edited by me. Follow these directions precisely and you will make imperfectly perfect latkes. 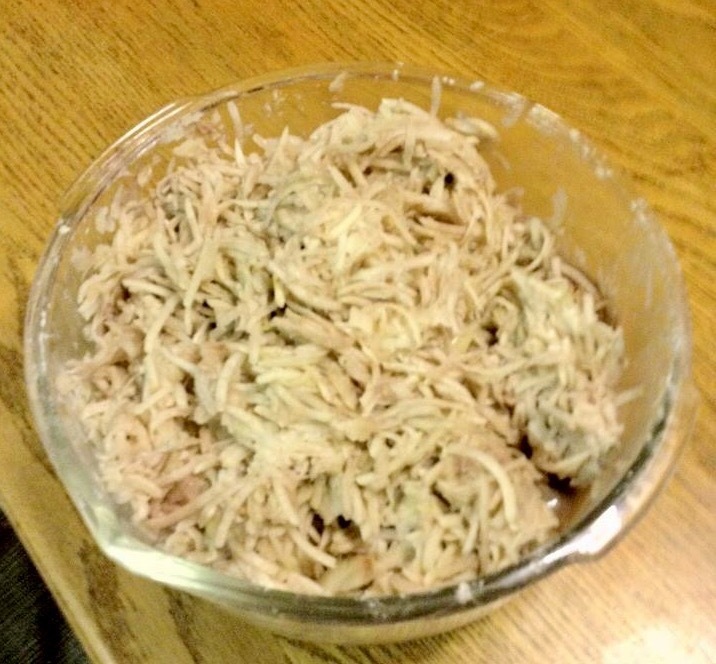 Take a lot of potatoes and some onions; shred them in the food processor. Mix them with a couple of eggs, some flour, some salt, in no particular order. Drain in a colander and squeeze out excess liquid before frying them in oil. A lot of oil. Blot on paper towels to get rid of excess oil. Serve with sour cream or apple sauce (or both), eat, and enjoy. 68. Sour cream or applesauce? A: As was discussed above (questions #49-53), Jews are divided into Eastern European Jews, known as Ashkenazim, and Spanish Jews, known as Sephardim. To make things even more complicated, Ashkenazim are divided into several sub-groups, the most prominent being Litvaks (from Lithuania or other northern areas) and Galitzianers (from the Austro-Hungarian Empire or other more southerly states). Litvaks like their foods savory, while Galitzianers prefer them sweet. Litvaks eat their latkes with sour cream and Galitzianers with applesauce. 69. Why the difference in preferences? Don’t know which one your guests prefer? Play it safe and serve both. 70. Why is cheese another traditional food for Chanukah? A: According to the story of Judith (question #10), she fed Holofernes salty cheese to make him thirsty, so he would drink enough wine to pass out. To honor her, it became traditional to eat cheese on Chanukah, particularly in Turkey. But the Jews didn’t just eat a piece of brie on a cracker. The cheese was made into latkes. In Eastern Europe, however, oil was scarce and poultry fat plentiful. According to the laws of Kashrut, one cannot combine dairy and meat in the same dish. Latkes began to be made from potatoes (also plentiful), flour, and eggs instead of cheese, so they could be fried in schmaltz, better known in English as chicken fat. 71. What do donuts have to do with Chanukah? A: Donuts are fried in oil. In Israel, plump, sugary, jelly-filled donuts called sufganiot are fried in so much oil that just one will raise the cholesterol level of the otherwise most conscientious dieter. And, to make matters worse, like potato chips, no one can stop at only one. 72. How did chocolate coins become traditional? A: The use of gelt (question #60), whether real money or foil-covered chocolate disks, for playing the dreidel game has a long history. But there is no definitive reason to explain why chocolate replaced nuts as the “currency” for gambling. Perhaps it was because some Jews were prominent in the chocolate industry in Europe. Or perhaps because the chocolate could be given as gifts to poor children so they would not feel deprived when other children were given real coins. Or perhaps because it was easy to change the image embossed on the foil from Santa Claus to Judah Maccabee or from an American to an Israeli flag. Whatever the reason, the coins have become a ubiquitous symbol of the holiday. 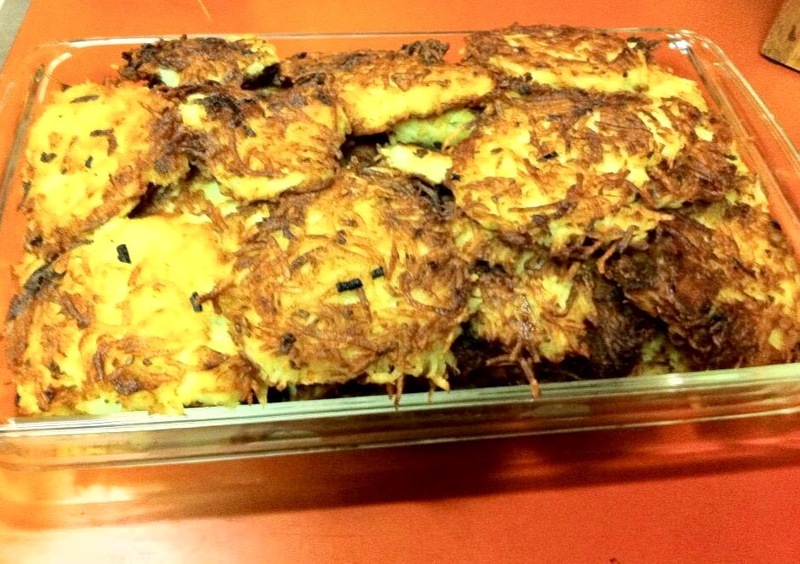 A: Iranian Jews make kuku savri, an egg fritter. A type of donut from Morocco, called svinge, is made with chocolate, halva, and orange juice and zest. In India, “burfi,” made with condensed milk and sugar, is popular. Italian Jews make a sweet and savory treat from Turin, precipizi , which is infused with olive oil and covered in honey. Jews in Istanbul eat oil-fried fritters known as burmelos.